If you find yourself in downtown Detroit, MI, near Ford Field, you’ll see a great example of our BannerFlex street banner hardware in action. Used in conjunction with our Kalamazoo Banner Works banners, you’ll see the familiar Lion’s Honolulu blue branding on streets surrounding the stadium. When fans approach the area, our street banners are one of the first signs that let them know they’ve arrived. From that initial jolt of excitement to walking back out to their car, our street banners keep your destination front and center. Our Banners Make Large Spaces Into Small Communities. 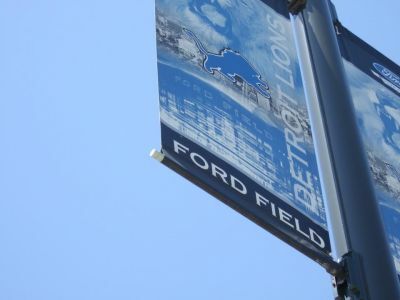 Just like at Ford Field, our banners make large outdoor areas easily identifiable with branding. Visitors in a new area feel comfortable with spaces that have been broken up into manageable bites, like along the Chicago Riverwalk. Larger cities help newcomers understand the layout and breakup of different areas with street banners – and BannerFlex hardware keeps those banners in place. Our Banners Let Communities Far & Wide Shine. Our hardware is in use around the world, from Detroit to Doha Qatar. Community pride is universal. Communities have found so many unique ways to celebrate seasons, festivals, holidays, and special events, even zeroing in on local heroes. We’re proud to help so many diverse locations express their individuality. Our BannerFlex hardware increases the longevity of street banners by allowing wind spillage – which keeps the fabric stress to a minimum. 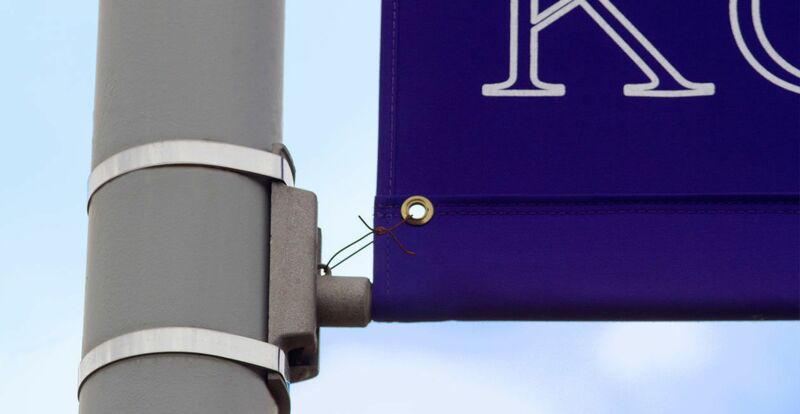 As the supporting structure that holds up street banners everywhere from our hometown in Kalamazoo, Michigan, to downtown Sisco, Texas, and far flung New Zealand, our hardware has held up to environments around the globe. From the streets of Detroit, to your hometown, our products are built to last. If you’re ready to explore the benefits of our BannerFlex hardware, call us today.